In one of the few moments of rest that the hectic workload at the EMERGENCY Surgical Centre for War Victims in Laskar-Gah allows you, Shah Wali watches TV news about his country, Afghanistan. He listens to it, silent and serious. 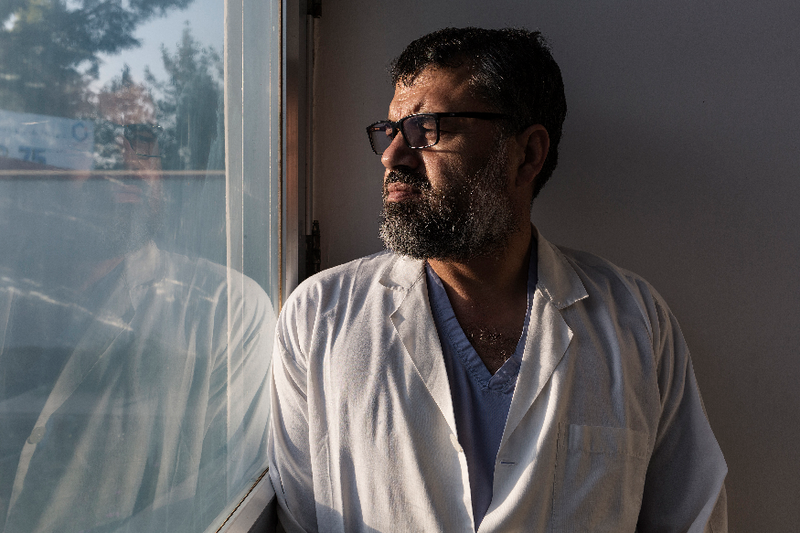 Shah Wali is 42 years old, he is one of the Afghan surgeons who has been working with us in this hospital for a very long time. He completed his training and his specialisation here. When he sees me, he starts telling me about the tiring days in the hospital and about those times when, due to the high number of victims provoked by a mass casualty, he and the rest of the staff would have to deal with up to twenty surgeries in a single day. His eyes are tired, but Shah Wali is determined and focused in the operating room. When he visits patients in the hospital wards, I can see that he looks after them carefully. He doesn’t hesitate to give an encouraging pat to one of the younger patients and, passing by the bed of a man whose leg he had to amputate, smiles and shakes his hand. It has been more than 15 years since he started working with us and he is one of those people experiencing his country’s destiny at first-hand. Cautiously, I ask him what he thinks of the war. “I have no idea” he replies with evident sadness. “Sometimes I am under the impression that things have slightly improved compared to two years ago; then I realise that this will most likely only be a break. 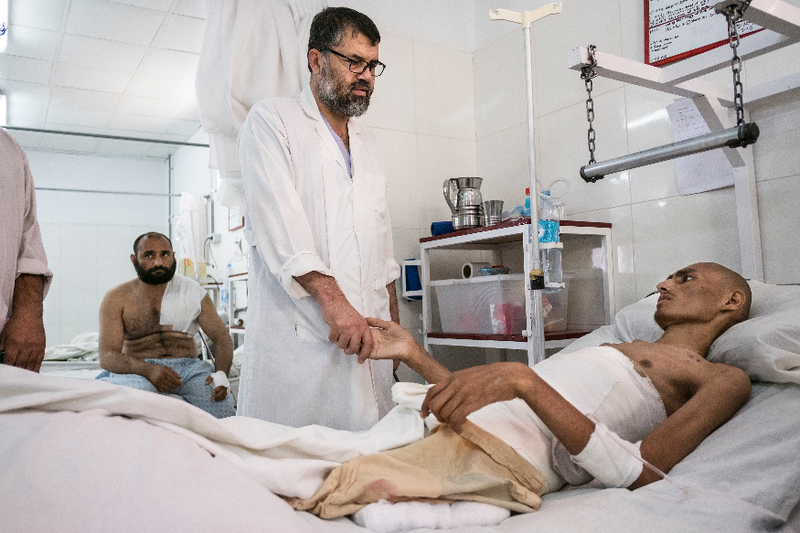 True, victims of landmines and firefights have decreased, but our hospital beds are full every day. And nobody knows anymore why we keep fighting this war. It has simply become normal”. From the EMERGENCY Surgical Centre for War Victims in Lashkar-Gah. The project is funded by EU humanitarian aid. What does it mean to be a patient with a chronic disease?